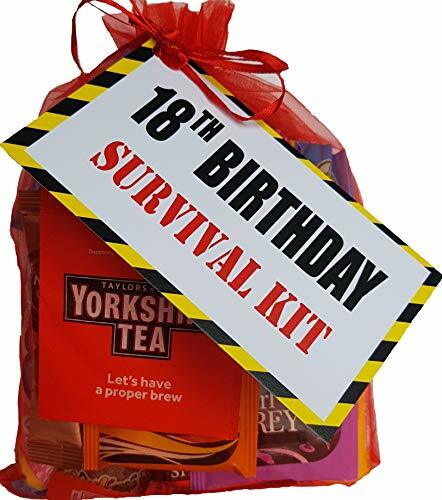 Add some some fun and novelty to their 18th birthday with this 18th Birthday Survival Kit. 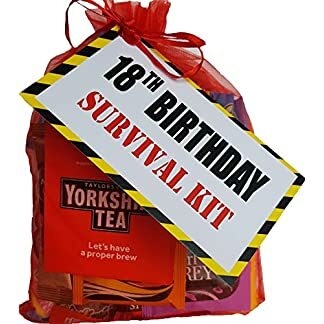 Sweets and treats contained in a Red Organza bag ideal for future use. With quality card blank on back for you to add your own hand written message. 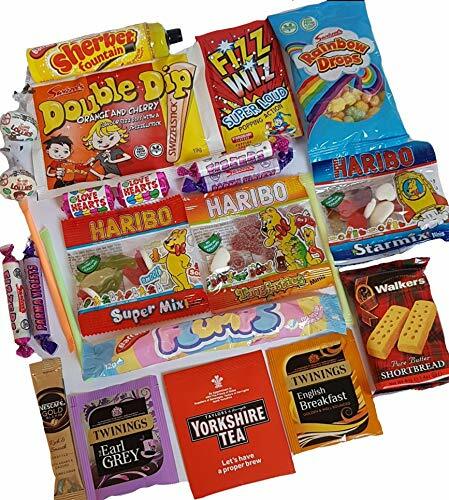 Give them Twinings English breakfast, Earl Grey, Yorkshire tea, Gold blend coffee and Walkers luxury Shortbread Fingers for Elevenses Plus strawberry flavour FIZZ WIZ popping candy, FIZZERS x2, HARIBO minis Starmix,Supermix and tangfastics , SHERBERT FOUNTAIN – Sherbet with a liquorice dip, packet of RAINBOW DROPS -Sugar coated puffed maize and rice, DOUBLE DIP- orange and cherry flavour fizz dips with a swizzelstick, SHERBERT STRAWS,Palma Violets x2 double lollys x2 LOVE HEARTS x2 and Flump Mallow Twist.